In Australia, we’re known worldwide for our ability to be pretty chill about everything, even though our wildlife is next level insane and our magpies can scratch your eyes out. Here’s a few times our nation was the land of NAH MATE, NO THANKS. 1. When that lady got attacked by magpies. If you haven’t seen this video yet, do yourself a favour and watch it now. This just shows how savage magpies can get come springtime and how usually every passerby, whether they be on foot or bike, is unsafe from their beaks. It is to protect their young, so I can kind of see where they’re coming from, but do I really need to be swooped if I’m on the other side of the road? NAH MATE. 2. When native wildlife just appears in your backyard. When Eliza Strydom heard her dog going off at 3am, she probably thought the worst. Imagine her surprise when she saw this little guy clinging onto her fence! Although they’re cute, koala bears have massive claws. Am I a fan? NAH MATE. 3. Where our spiders are so big, they can catch and kill mice. Okay, so it’s only one mouse, but still. Our spiders shouldn’t be big enough that they can effectively trap and KILL a mouse. Tradie Jason Wormal filmed a video of this shocking sight where he saw a huntsman fight and kill a mouse, the proceed to carry it down the fridge. Watch below. I can’t watch it again because I accidentally watched it yesterday, and it gave me spider induced nightmares. This video has NAH MATE written all over it. Bindies are the scourge of summer and every patch of grass ever. If you need to make a dash across the grass to help out your mum with a Woolies run, bindies will make sure you suffer the consequences of forgetting your shoes. It takes forever to get them out of your feet, they’re super painful and small and they also somehow get in between your toes? NAH MATE. Australian people just don’t like saying full words. 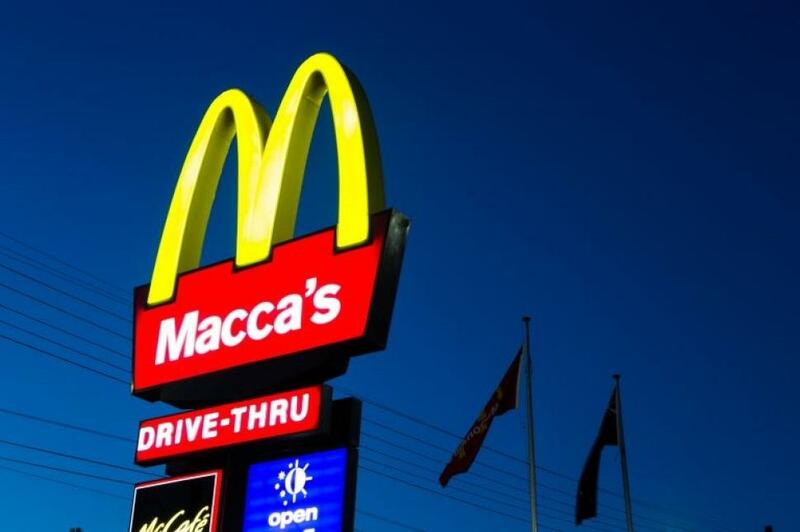 This became apparent when McDonald’s in Australia changed their sign from ‘McDonalds’ to ‘Maccas’, and everyone around the nation rejoiced because that’s what we call it. McDonald’s has too many syllables. Saying McDonald’s will result in your friends being like NAH MATE IT’S MACCAS. These are just some of the things that make Australian people go NAH MATE. If you know of any more, feel free to let us know in the comments.